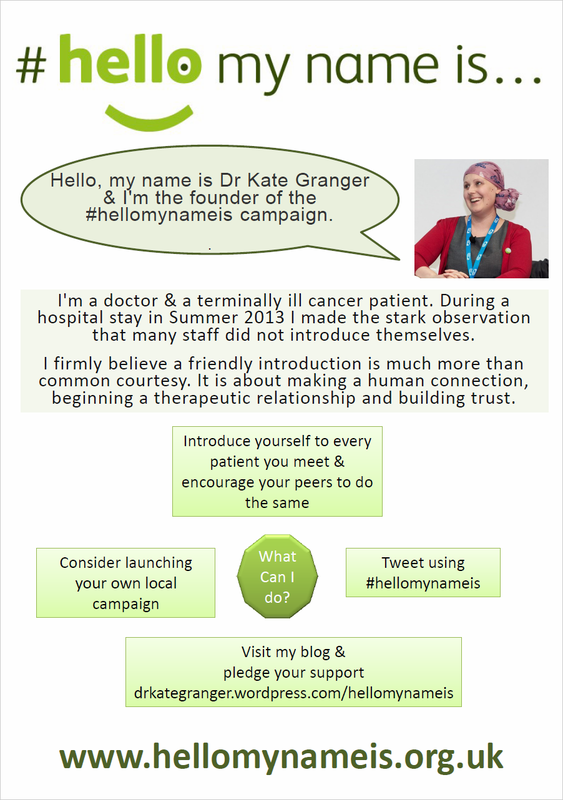 Kate Granger, a doctor and terminally ill cancer patient, launched the ‘Hello, my name is…’ campaign, when she observed that many of the staff looking after her during a hospital visit last summer did not introduce themselves before delivering care. A news item published by the British Medical Journal reports that the campaign is now ‘being supported by more than 80 NHS organisations in England, Wales and Scotland, and by more than 400,000 doctors, nurses, receptionists and porters’. 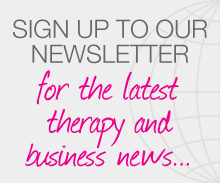 Posted on 12 February, 2015 by Federation of Holistic Therapists (FHT). This entry was posted in health and tagged health. Bookmark the permalink.